Property Location When you stay at Quality Inn in Needles, you&apos;ll be minutes from Needles Regional Museum. 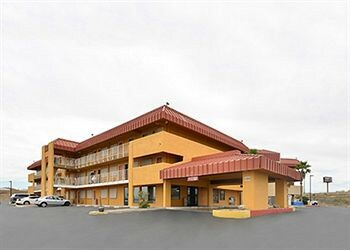 This hotel is within the region of Desert Lakes Golf Course and Kids Quest.Rooms Make yourself at home in one of the guestrooms featuring refrigerators and flat-screen televisions. Complimentary wireless Internet access is available to keep you connected. Conveniences include desks and microwaves.Rec, Spa, Premium Amenities Take advantage of recreation opportunities including an outdoor pool and a spa tub.Dining Grab a bite from a grocery/convenience store serving guests of Quality Inn.Business, Other Amenities Featured amenities include a business center and an elevator (lift). Planning an event in Needles? This hotel has facilities measuring 560 square feet (52 square meters), including a meeting room. RV/bus/truck parking is available onsite.